With the coming of a New Year, also comes New Year’s resolutions and New Year’s goals. My goal is to work alongside local businesses to share my love of affordable design. That being said, I am happy to announce that Project Home is collaborating with St. Vincent de Paul in an effort to showcase the possibilities of thrifting and refurbishing secondhand furnishings. St. Vincent de Paul is a national nonprofit organization that provides meals, dental care, medical assistance and hands on support to those in need. One of the ways St. Vincent's supports its organization is through the establishment of thrift stores. These stores provide donated household items that are perfect for do it yourselfers like you and I. 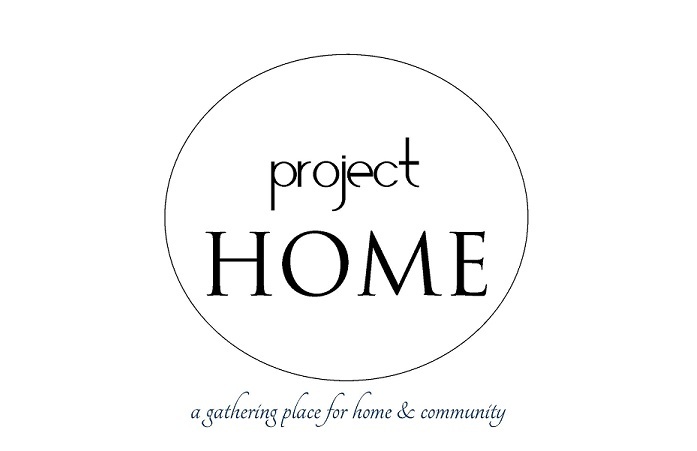 Project Home has committed to providing St. Vincent de Paul with one refurbished item a month. As an avid thrifter, who finds that there is nothing more exciting that visiting second hand shops, I was in heaven when I was brought to the warehouse! Pure Heaven! St. Vincent's is allowing me to choose the monthly item from their thrift stores and warehouse, so that we can share the wonderful possibilities of refurbishing and recycling. I feel so honored to be partnering with such a splendid organization! So, here is my first task… a midcentury modern side table. Take a look at the before picture and I will be sharing DIY steps tomorrow. I can’t wait to show the results that a little hard work and imagination provide. Please take a moment to visit St. Vincent de Paul's site to donate or see all of the amazing services that this nonprofit organization provides. It’s Christmas Eve and Husband and I are all set to host family for some appetizers, soup and crème brulee. It's Christmas time and there is definitely magic in the air! So, from our family to yours, we wish you a Very Merry Christmas and a Joyous New Year! Here are some photos of my latest projects. Most of these will be for sale on the online shop that I will be sharing later this week. I hope you like them! It's always hard to part with items that you have put time and vision into, but I am so excited to launch an online shop for Project Home. I will also be selling handmade pillows and taking some custom orders... but more to come on that later. For now, here is a preview of some of the items that will be available. Lately I have been seeing a trend in gray kitchen cabinets. I have to admit, I really adore the look! As you know, I dream of a white kitchen, but Husband is not so keen on that (even though I have been working on convincing him for months). Still, I think I may be able to convince him that gray cabinets are the next big thing. What do you think of these beautiful kitchens?